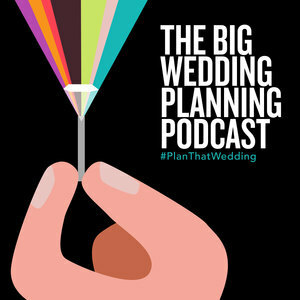 The Big Wedding Planning Podcast: #74 Listener, Bride - Guest! Allyson is a Canadian bride & TBWPP listener, who initially reached out to us almost a year ago with a couple specific questions she’d run into planning her wedding. Several emails later, Allyson had her dream wedding and then she gifted us with the BEST recap and list of lessons/advice. 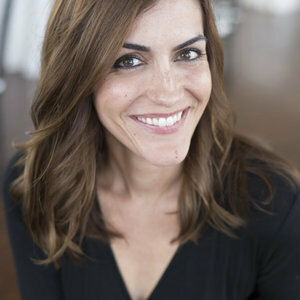 We loved Allyson’s ‘retrospective’ so much, that we asked her to be on the show so we could dissect it together. This episode is chalk-FULL of great information from one of you, our dear listeners! Allyson originally emailed us 10 months ago - was a loyal fan and had lots of questions. She explained that she and her fiance wanted a really fun wedding, and their timeline was very relaxed...7 hour reception, no sit-down dinner, minimal announcements, etc. Also, she described a Pincho style of dinner service and we had no idea what she was talking about - or how to pronounce it. 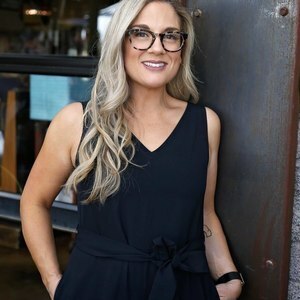 We wrote Allyson back with our advice and then she responded with an awesome follow up and she took a lot of our advice and was feeling GREAT about planning at that point - six months out. Also, she told us what a pintxo bar was: Just so you know, a pintxo (pinch-oh) bar, is a way they eat in san sebastian spain as well as barcelona. There will be a big ham leg being hand carved jamon, oysters, and snacks on toast. That sounds amazing. One big piece of insight Ally has is that listening to our podcast was super helpful! We don’t think she was blowing smoke either - she had specific episodes that she mentioned that helped her a lot, including the timeline and budget episodes. The convenience of being able to listen while she went running or did chores...huge. We’re so happy to provide this podcast for all of you! We helped her and now she wants to help you! Go to bed early the night before the wedding. Drink plenty of water! Maybe get in some yoga or stretching the morning-of. Allyson enjoyed a nice, quiet morning with her mom as they prepped the bridal party gifts and sat for tea. Bridesmaids (attendants) gifts - great opportunity to write your best friends a note thanking them for being with you on your big day, and helping to make it the best day ever. Ally gave her girls nice custom jewelry. Wedding Day gift/card for your partner - touching way to connect before the vows. It’s a keepsake forever! Ally and her partner Zach both did this for each other and they both felt like it was a great decision! First Look photos. We always recommend this to our clients...many pros. “Hello fellow brides! My name is Allyson and I just want to let you know that you will not be steered wrong with The Big Wedding Planning Podcast. Christy and Michelle know what they’re doing and please take the time to listen to them. They are the best!” - Allyson leads the pep rally for TBWPP! “Listening to your podcast made planning and organizing our wedding so easy.” - Allyson, after our own hearts! “I didn’t want to be someone I wasn’t on my wedding day.” - Allyson, on why she wore a custom, handmade dress. The seamstress even sewed Ally’s mom’s buttons from her wedding dress into Ally’s wedding dress. Awesome. “You have to enjoy and let go...because the months and weeks leading up to your wedding are like a road-trip. It’s all about getting there.” - Allyson. And TBWPP is your map. Your tour guides. Your compass. You get it.